managerial finance and managerial economics that he authored or co-authored are used at more than 1,000 universities in the United States, and have been translated into 11 languages worldwide. He has testified as an expert witness in numerous electric, gas, and telephone rate cases at both federal and state levels. He has served as a consultant to many corporations and government agencies, including the Federal Reserve Board, the Federal Home Loan Bank Board, the U.S. Office of Telecommunications Policy, and the RAND Corporation. Dr. Brigham continues to teach, consult, and complete research in addition to his text writing. He spends his spare time on the golf course, enjoying time with his family and dogs, and tackling outdoor adventure activities, such as biking through Alaska. was the winner of the Allen G. Keally Outstanding Teacher Award in the College of Business in 1989, the Tennessee Organization of MBA Students Outstanding Faculty member in 1998, the College of Business Administration Research & Teaching Award in 1998, and the John B. Ross Outstanding Teaching Award in the College of Business in 2003. Much of Mike's research is in the areas of corporate valuation and asset pricing models, including pricing models for interest-rate sensitive instruments. His work has been published in numerous journals, including The Journal of Finance, Journal of Financial and Quantitative Analysis, Financial Management, The Financial Review, The Journal of Financial Research, and The Journal of Banking and Finance. He is the author of The Search for Value: Measuring the Company's Cost of Capital, published by the Harvard Business School Press. 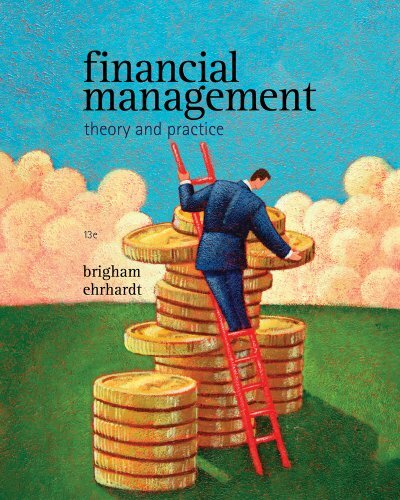 He is a co-author of Financial Management: Theory and Practice, the market-leading MBA finance textbook, and Corporate Finance: A Focused Approach, a more focused textbook that can be covered in a single semester. Mike teaches in Executive Education Programs and consults in the areas of corporate valuation, value-based compensation plans, financial aspects of supply-chain management, and the cost of capital.